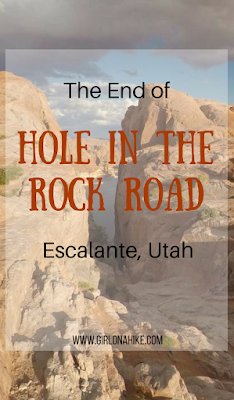 Hole in the Rock Road runs from Escalante, Utah to the actual Hole-in-the-Rock on the Western shore of Lake Powell. 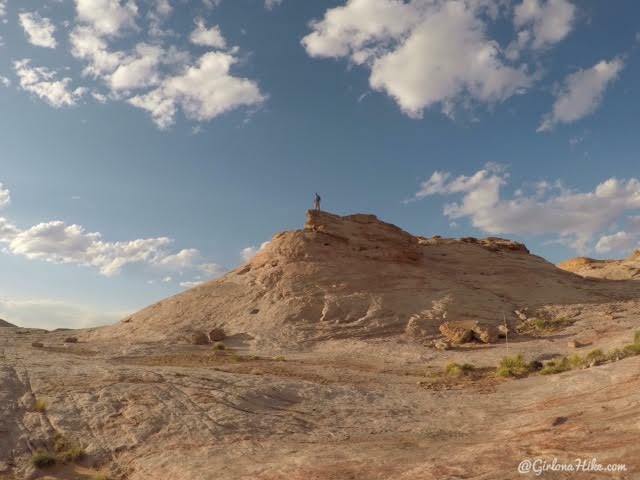 It's a 62 mile dirt road that follows the general route of the original Hole in the Rock Expedition, when the Mormon trailblazers crossed the Colorado River and ended their journey in Bluff, Utah. 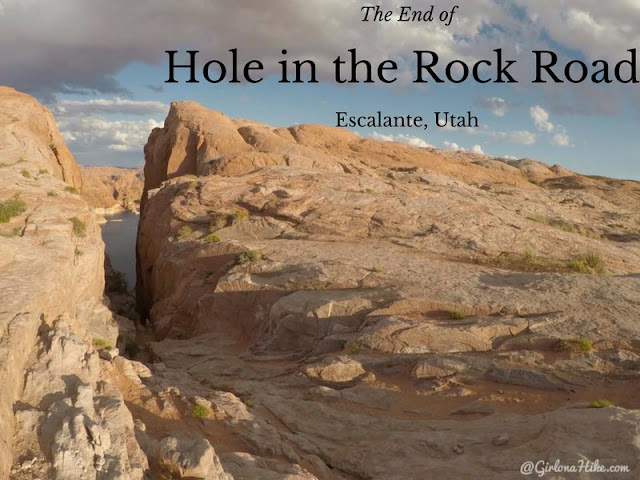 The Hole in the Rock expedition established the trail in 1879, and has since become part of Grand Staircase-Escalante National Monument, Glen Canyon National Recreation Area, and within BLM Land. Driving down Hole in the Rock Road isn't an easy task - this long dirt road is often rutted out, washed out, washboard-like, and very rough. Most cars can drive all but the last 10 miles of the road as long as its is dry. Past that point you definitely need 4x4 - we only saw trucks and jeeps the last portion of the road. 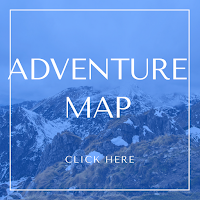 When traveling this road, you should have a full tank of gas, bring plenty of water and be equipped to get yourself out if you get stuck - this road is not routinely patrolled by any agency. In Summer months the temperatures are easily at or over 100F, and can also be quite cold in Winter. Sudden heavy rains during monsoon season (typically in Summer) can make this road impassable. With all this being said, if you are prepared, I highly recommend driving to the end of Hole in the Rock Road. So is there really a hole in the rock? Sort of. Hole in the Rock is a narrow and steep crevice along Lake Powell. 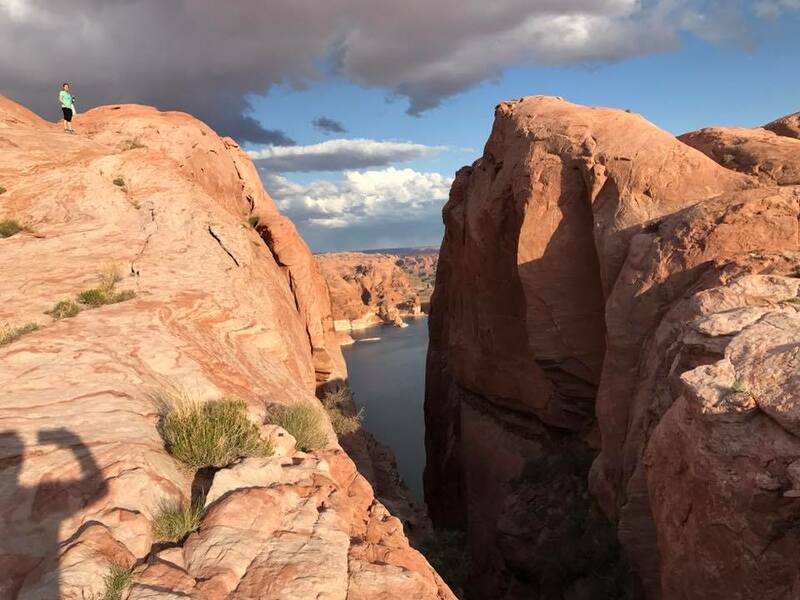 Together with another canyon on the East side of Lake Powell, it provided to Mormon Expedition a route through which would otherwise be a large area of impassable terrain. 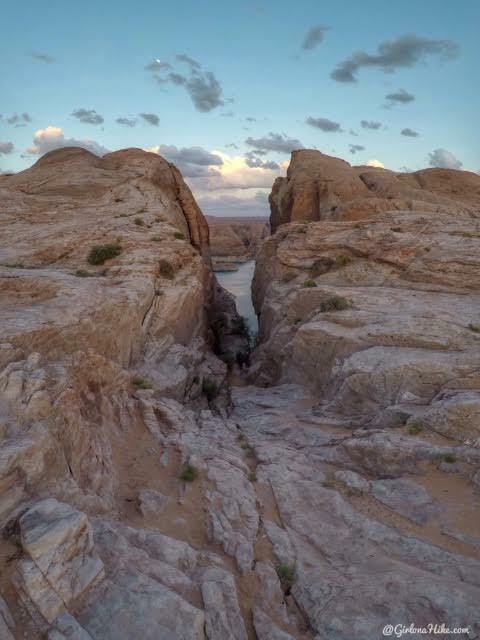 Many people forget that all of this happened before Lake Powell was actually a lake - there was no water source at the time, making this even more difficult. 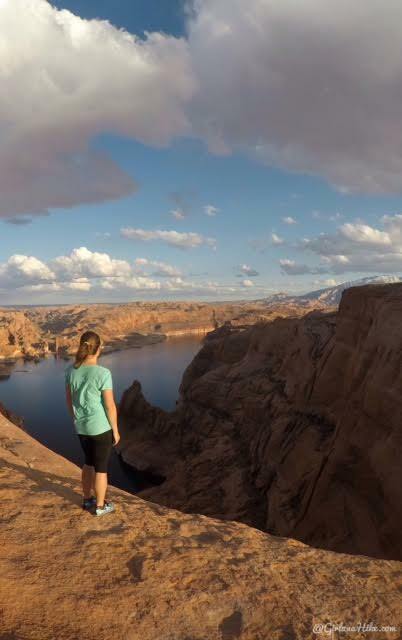 Lake Powell was created in the 1960s when the Glen Canyon Dam was built. 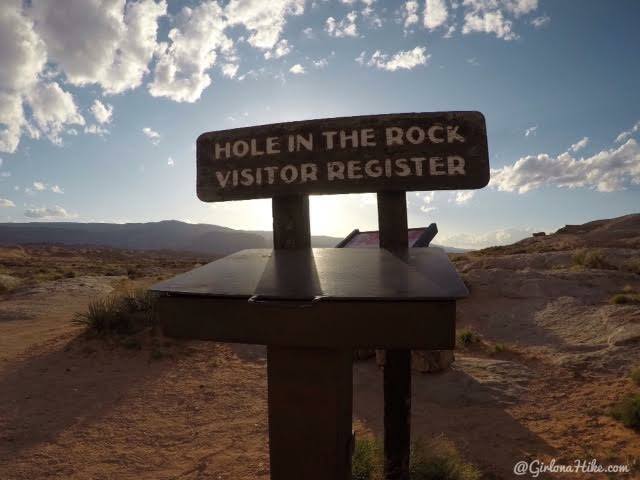 Arriving at the end of Hole in the Rock road, you can check in the Visitor Registration. Exploring the area, trying to find a good campsite. Can you believe the expedition brought over 1,000 people and hundreds of wagons up this?! It's much bigger and wider than I was expecting - it had to be at least 100 feet or more across. The light on the rock and lake is really pretty at sunset. 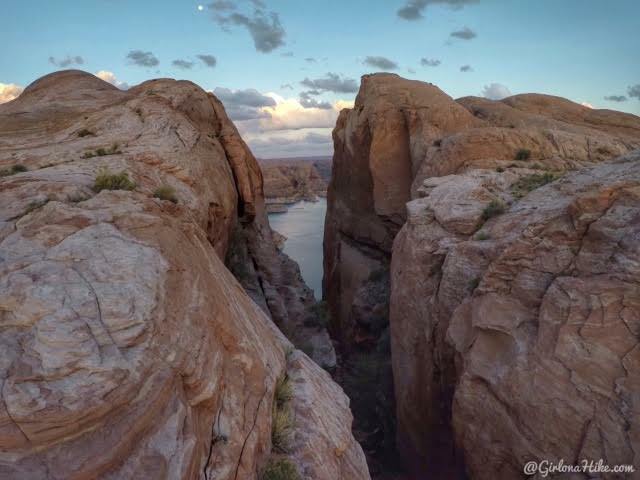 You can hike down to the bottom of Lake Powell - it's about 1,000 ft of descent, so just remember that you need to hike back up. 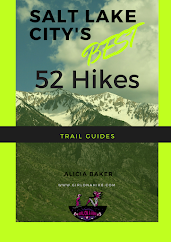 My partner hiked down and up and it took him close around an hour at a fast pace. I did see one child hiking up it, but he was in tears LOL. Checking out the view from the ridge. 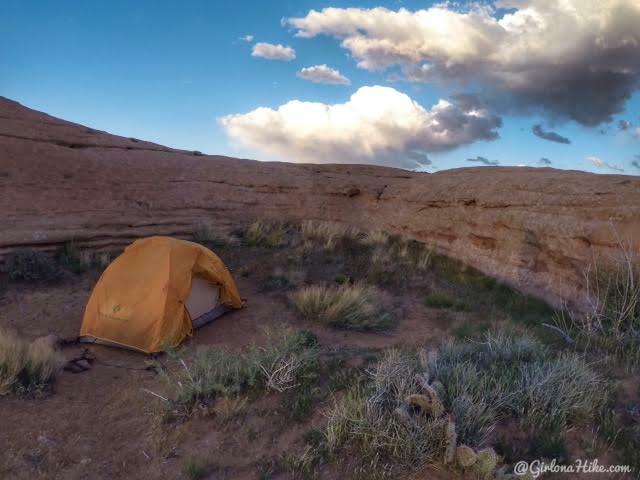 You can camp anywhere you like, but just remember that you do need a free backcountry camping permit that you can get from the visitor center. Not only is it a way for the Interagency to calculate how many people are camping in the area per night, but it is a good paper trail in case you get lost, stuck, etc. My friends decided to set up their tents right by the car. You can see there is plenty of space to camp. We decided to set our tent up in a little alcove about 100-150 ft up from the car in a secluded spot. We figured it would protect us from the wind. 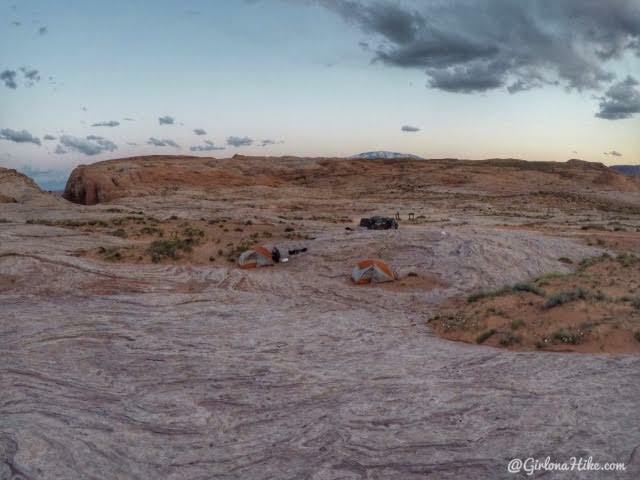 Well, that night we camped in the most extreme wind I've ever been in. In the morning, I just stuffed everything in my backpack, walked down to the car, and then would pack it up nicely for our adventure the next day to Reflection Canyon. My partner stayed behind to pack his bag, and take down the tent. Well, he came down about 20 minutes later....with no tent. He said, "well, the tent is gone." I replied, "What do you mean it's gone??" 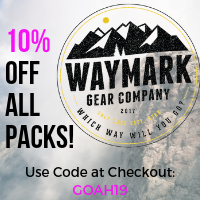 He said as soon as he turned around to put the rain fly away in his pack, and turned around, the entire tent had blown away - with the poles! We even had it staked down and tied to a heavy rock. I couldn't believe the wind was so bad that it just blew away. He said he never even heard it take off. We searched all around camp, hiked down to the lake and nothing. I'm sure its hundreds of miles away floating in Lake Powell at this point. If any of you find an orange Black Diamond tent, well, you know who it belongs it! 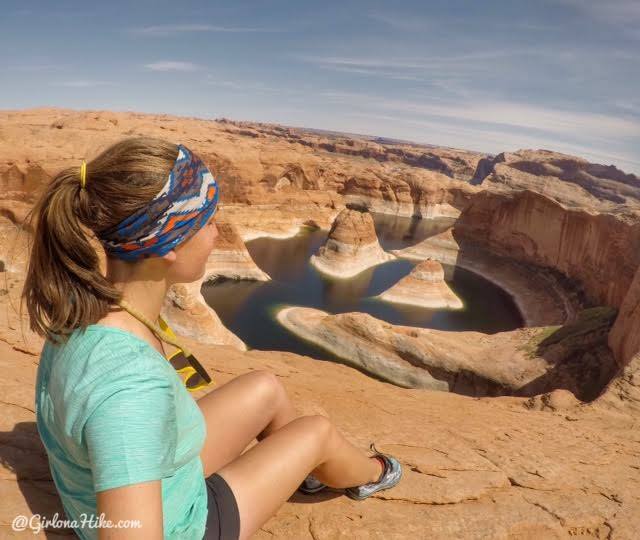 Check out my post on Backpacking to Reflection Canyon! Oh, no! I can't believe your tent blew away!! So sorry! I hope you were only staying one night. Charlie probably wouldn't have enjoyed the ride on that road:) I would love to get that far and see the Hole in the Wall. If you ever get to Bluff, there is a wonderful Visitor Center/Museum/Fort. There are two movies on the story of the Mormon's trip. The old movie shown in the barn outside is amazing and shows the true challenges they had. Just a few facts...there were only 230 Mormon's that made the trip and not that many wagons. The Mormon's went down the Hole in the Rock. They basically had two areas for the wheels and the center was more open. The horses wouldn't go down because it was so steep. One of the wagons was lead by two blind horses so they went first. The other would then follow. The people had ropes tied to the back of the wagon to hold it back. All the wagons and people made it down successfully. Here in Bluff is another area called San Juan Hill that they had to travel up to get on top of the Comb. 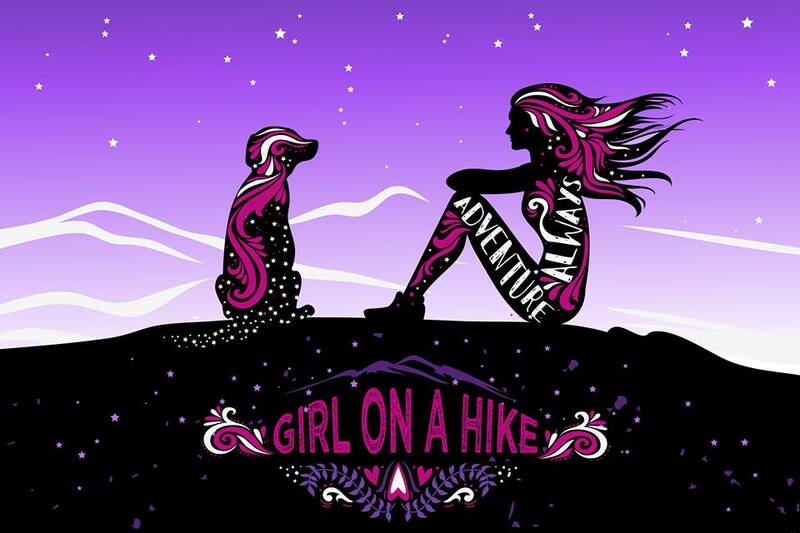 It is tough to hike up the stone ridge. I can't imagine taking wagons up, but they did! 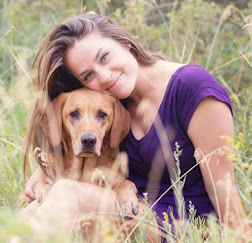 It is an amazing story!